The First Banner For Tom Hardy's 'Venom' Movie Discovered In Brazil! 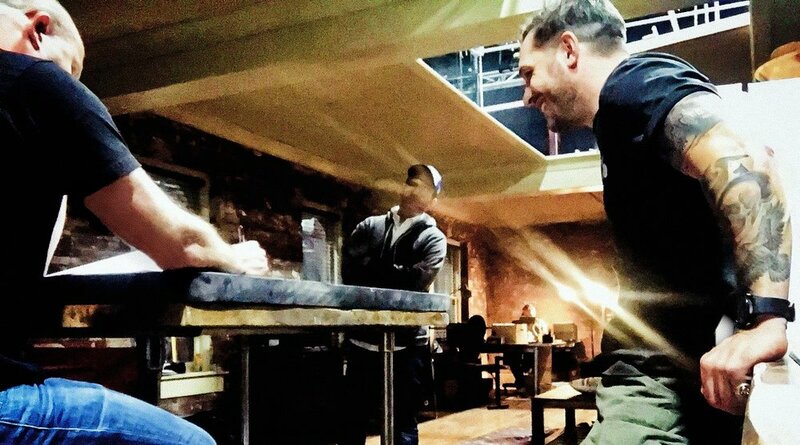 With filming currently underway on Sony Pictures' Venom movie starring Tom Hardy, fans have been eagerly awaiting any official promos or first looks at the film and now it appears we have our first. Discovered by Collider (via Marvel Flix), is the first official banner for the film from Brazil's Comic Con Experience! Along with Hardy, the film also stars Michelle Williams, Riz Ahmed, Reid Scott, Jenny Slate, and Scott Haze. The film is directed by Zombieland director Ruben Fleischer. Are you guys excited for Venom? Let us know in the comments below. Keep up with all your movie news right here at Eastcoastmovieguys! Venom is set to hit theaters on October 5th, 2018.